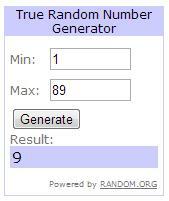 The winner of the Chicnova giveaway is Joanna. Congratulations dear! A vencedora da giveaway é a Joanna. Parabéns! Burberry trench, scarf and bag. Zara wedges. That trench coat is very nice. Have a great day. Muito gira, como sempre ;)! We totally love your shoes!!! Your trench is very nice. so beautiful coat and shoes !!! Love so much your trench! O cabelo está tão giro! E a trench é de morrer! Gosto muito do trench, a cor é bem diferente do habitual! I love your look , and the trench! I Love the Coat soooo much! One of them is decently needed in my wardrobe! You look gorgeous! I love the shoes as well! They look amazing on you! Great style! Hope you get rid of that horrid cold soon! Theres nothing more classic than a chic trench coat and you have the most elegant one, love the chic styling and cute scarf. Thanks for following back babe. I love your outfit. Oi lindona!! tudo bem? entao... vim retribuir a visita no meu blog.. Ja seguimos vc gatona. Bjocas!! Amo seus looks, cada um mais lindo do que o outro. Seu sorriso e contagiante. I love your outfit! And your hair looks amazing. You've got a really nice blog. Maybe we can follow each other? Love your green jacket, it looks great on you! Thanks for stopping by sweety! I'm glad you like my blog! Really like your style! The trench looks super cute on you! I'm following you now of course! Follow me back? Hi! Thnak u for your comment! Sure we can follow each other, I'm following u on GFC, waiting for u! That's a stunning look *_*, love this trench and your bag, so gorgeous! Thank you for stopping by. Sure we can follow each other, following you on GFC an Bloglovin' (I'm not on FB). I would love to follow each other. I'm following you on GFC, Facebook and Bloglovin now so don't forget to follow back!! I'm following you everywhere GFC bloglovin and Facebook!!! If you like you could do the same with me!!! Lovely blog! I'm a new follower on GFC and I hope for a follow back! Love the clour of your trench...It´s cute!! Of course we can follow each other..following you :) Waiting for you to follow back. WOW! This jacket is absolutely stunning on you! I love the booties with this look! Such a sophisticated look! Hi! thanks for invintation to follow I follow here^ fb and blogloving will follow tomorrow! what an amazing outfit! !thank you for your nice comment dear!i am already following you on gfc ,blogloving and facebook!would you like to follow me back?kisses! Great trench, it looks so versatile! The wedges are really nice too. Just gave your facebook page a Like- hope you can check mine out too! Leonor thanks for your comment! You are so pretty! Of course we can follow each other, I'm following you on GFC and Bloglovin! Great coat, babe, I love the shape of it! Hope you're feeling all better by now. ;) Have a fun weekend! your blog is so chic fun and exciting! oo I do love your coat!! I follow you also on Chicisimo! But I do not find your profile on lookbook! NEW POST: I love Shopping! Love the trench with the Burberry accents! Hope you get better soon, now following via GFC, Bloglovin, and FB! That trench is absolutely amazing!! Also love your wedges! This coat is such a statement maker...love the drab olive color and the incredible volume it has around the collar. Not to mention those matching booties are lovely! Já te enviei um email mas aproveito para escrever aqui, caso não tenhas visto. O blog fashion-mags.com está a fazer um concurso que oferece até 100€ em cartão oferta da ZARA. This trench is gorgeous, SO pretty! skіlleԁ blоggeг. I've joined your rss feed and look forward to seeking more of your magnificent post. Also, I've shаrеd your ѕіtе in mу social netwогks!